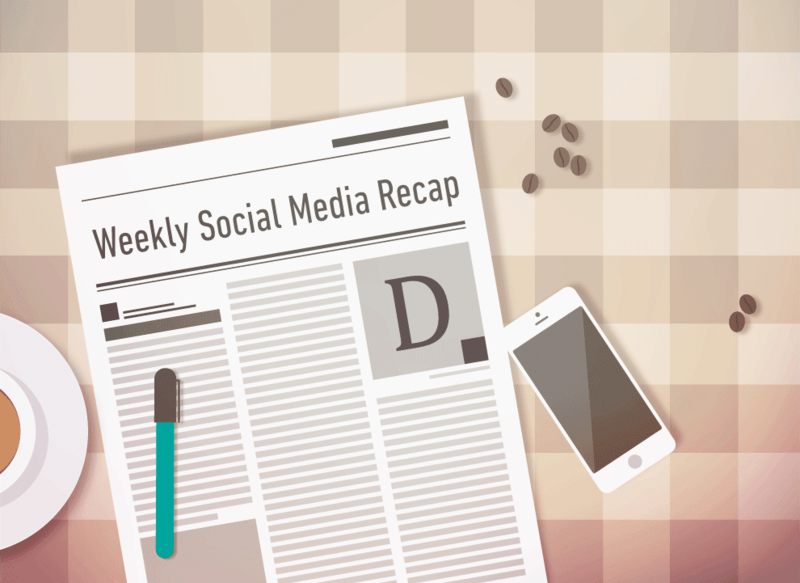 This Week In Social Media: From YouTube to Facebook to Instagram, We've Got it All Covered! This week saw many developments in the social media world. Platforms, such as Facebook, Instagram, Snapchat and Twitter, introduced several features, making the user experience more interactive and enjoyable. Facebook announced, during the F8 Developer Conference, that it would soon bring augmented reality ads to its Messenger application, for selected brands. Now recently, in another announcement, it was reported that the same experience would soon come to everyone’s newsfeed as well. It would roll out its new video creation kit, which would allow the incorporation of existing images into templates to create videos. For now, this would be tested with only a selected number of brands, but would later be made available for all advertisers. Moreover, in the same announcement, Facebook shared that it planned to expand its support of purchasing and selling within Instagram. Also, Instagram’s collections ad format will soon be made available to all marketers on board. Facebook is experimenting with an archive feature similar to that of Instagram, TechCrunch reported. With this new tool, users will be able to privately save their stories after they expire, in an archive. They would be able to repost the same story in the future. Recently, the company announced that it would soon launch a separate tab for funded news programs. The section would be labeled as Facebook Watch tab. These shows began debuting on 16th of this month. The first batch of companies, which will have access to this feature, include CNN, Fox News and ABC news. Apparently, Facebook is busy testing a do-not-disturb tool, designed to mute all sorts of notifications for a predetermined amount of time. According to the screenshots shared by Matt Navarra, the platform is testing the different time durations for the mute periods. Currently made available to only iOS users in its testing phase, Instagram has made available a form in the application, which asks for accounts’ user names, full names and photo identification. With this, the company decides to verify celebrity accounts, and label them with a distinguishing blue tick. This feature will soon make its way to Android smartphones too. The Verge reported that Instagram seems to be experimenting with the stories bar, within the main newsfeed, making it persistent in its location, even when the user is scrolling down. This might be attributed to the fact that the company is trying to have its stories feature more prominent and present in the application. Upon interrogation, Instagram accepted that it was testing new features, and this is just a part of that. Instagram introduced its new interactive question sticker earlier this week, and it was an immediate success. This feature allows users a "fun way to start new conversations with [their] friends" and gives them a chance to get to know each other. People may ask questions and get replies from their followers, which can then be shared publicly as stories. This latest update is available on both iOS and Android operating systems. With this new tool, Snapchat will allow its users to explore the various lenses created by the community of the platform. Currently, Snapchat has around 100,000 authentic, community generated lenses. These can be created using lens carousel. As to when this tool would be made available is not reported yet. However, what is known is that it will be launched for iOS before the Android phones. TechCrunch reported that Snapchat might be working on a new camera feature, which would allow users to “press and hold” a barcode or object to have it scanned, and sent to Amazon. This would then search the shopping platform for all nearest results and then display them to the user. Even though Snapchat and Amazon have refused to comment on this development, there is a huge chance that this might be happening. According to TechCrunch, Twitter plans to soon test its new tool, an ad unit, which puts a large visual banner, complete with a GIF, on the top of the Explore section. Users will be able to see it for the first two times he/she logs into the application, in one day. Afterward, it settles back into the Trends list. In an attempt to make users feel more genuine toward their followers, Twitter decided to stop counting blocked people in follower lists. Due to this new development, an average person loses around 4 of its followers. However, it is the celebrity accounts which have undergone huge setbacks, losing thousands of people from their accounts. In its attempt to make Twitter more transparent, and less involved in the turmoil of fake news and advertisements, the social medium has launched its new Ads Transparency Center. With this, any user can search for every ad campaign furthered in the past 7 days. Now users will not have to worry about going through elaborate procedures before saving an image or a clip, because Pinterest has enabled a one-click saving tool for them. This would work for all pins in the search results, home feed and the following tab. Currently this feature is available for web users only. The social medium launched its new collaboration tool for shared boards, which would serve to make management of posts easier, and facilitate communication. Moreover, participants of the same board would be able to keep track of each other's activities, shared and uploaded pins, etc. This new update is available on both iOS and Android phones, along with desktop web. This new update is an attempt to surge the rise of the circulation of fake news via the application. It is known that WhatsApp is increasingly been used to spread rumours, which lead to terror and violence. Therefore, from now onward, the app will label all of the forwarded messages to let the receiver know that their authenticity might be dubious. With the help of this feature, only the admins of a group will be allowed to send messages / updates in the group. The rest of the participants would be able to view them, but not respond. This new tool is available for all supported versions of the application. Previously accessible by only those who had made paid subscriptions, this feature is now being rolled out for all non-Premium subscribers too, throughout the United States. With this new feature, users will now be able to surf the site more privately, without having their histories saved in the device. 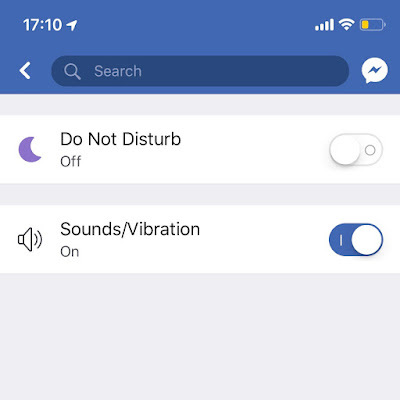 When turned on, this mode would only display the menu and the trending options. This new feature is available for all Android users. Popular YouTubers often complain of their content getting stolen by less famous users. Therefore, YouTube has launched this new feature in order to reduce such cases. When a person will upload some content on the domain, an auto copyright match tool will run to find similarities between it and previously uploaded clips. The results would then be displayed in a matches tab, and the person can decide what to do next. Reality Behind the Claims of Social Media Addiction. Microsites: The Latest Invention in the World of Internet and Social Media.